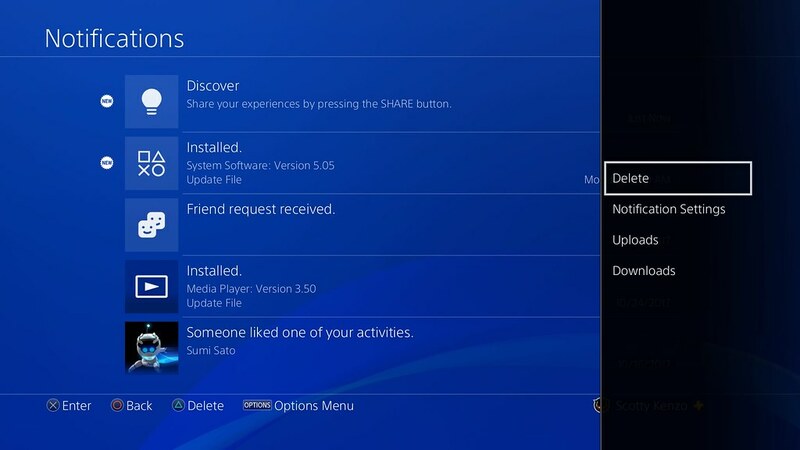 Update: PS4 System Software Update 5.50 is now available! Update your PS4 system to enjoy the features outlined below. The beta for the PlayStation 4 system’s next major system software update 5.50 (codenamed KEIJI) rolls out today. If you signed up and were selected for the beta program, you’ll receive an email with instructions on how to download and get started. Even if you are not in the beta program, we wanted to give you a sneak preview of features you can expect in this update. In 5.50, we’re introducing Play Time Management, Library UI updates, further enhancements to the Quick Menu, and much more. 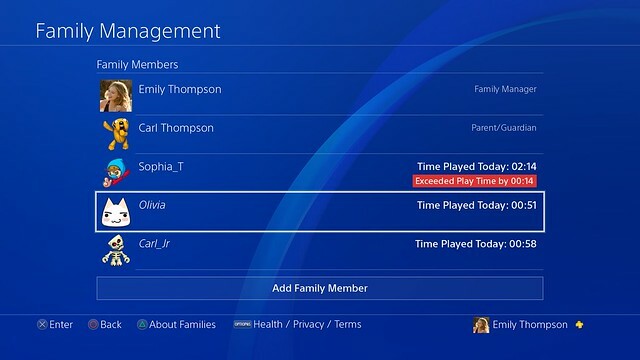 We’re introducing Play Time Management, which will allow family managers (and adult family members who are set as guardians) to manage PS4 playtime for child family members on family on PSN. Managing Playtime is easy; go to Settings > Family Management on your PS4, or log into your PlayStation account on your web browser from your PC or smartphone, to check and manage your child’s playtime each day. If needed, the family manager/guardians can apply playtime restrictions to make sure that the child is only playing for a set amount of time or within set playable hours. 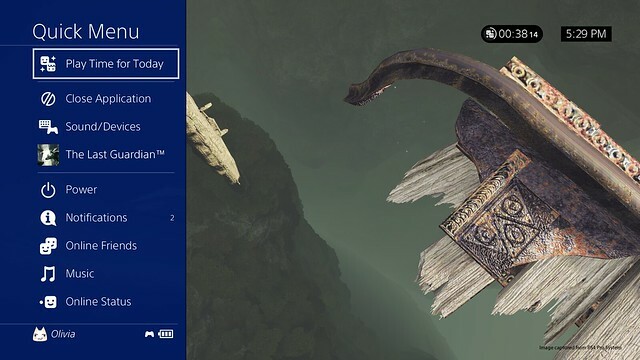 Notifications on PS4 will be sent to the child during gameplay so that he or she knows when they should save and quit. The family managers/guardians also have the option to add extra game time via their smartphone or PC. In addition, the family manager/guardians can choose whether or not to automatically log the child out of their PS4 once their playtime is over. will appear next to your game so you’ll know you cannot play the game until you’ve re-subscribed. This update will give you the ability to delete old notifications for better organization and management. Just go to Notifications and press the ‘triangle’ or ‘Options’ button to open up a menu that will allow you to select a single or multiple notifications you’d like to delete. Please delete games that were things like beta’s so the library is less cluttered. I don’t care that i have the original Beta for Destiny as a download, its worthless now. So, you’re letting us hide things we probably don’t want to hide (the things we’ve purchased ourselves), but still not letting us hide the things we don’t want to see (All of the icons for paid services like Vue under Video). You’re also still not letting us order our own Video section so that we can get directly to the apps we use the most. Brilliant. We should be able to send video clips to friends!!!! SilentHunter – You think it is stupid that you can not play the PS+ games that are part of the PS+ benefits because you no longer have PS+? That is like saying it is stupid that Netflix will not let you watch movies because you don’t pay for the service anymore…. What ever happened to video chatting? Last we heard was that the Oovoo deal fell through. Video chatting worked great on the ps3. This is why I have not purchased the camera. Still waiting for a long time now voice changer, and a much needed friends list in alphabetical order, because but what I’d like to see and soon is everything is on that Plus Members list like Spotify with Play Now, kinda like what XboxLive was Sony! 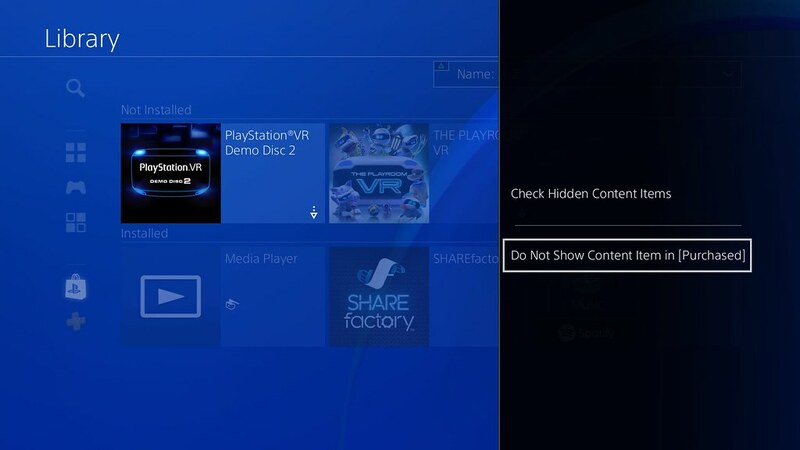 Dear PlayStation can you guys please add a local game share like if a friend or family relative brought there PlayStation over on another television. Then both PlayStations both can play one game on separate PlayStation in case they don’t have either psn or the game it’s self. I would agree with most of the update ideas. Their all pretty good and adding to the touch and control of the owner. Especially the imported backgrounds for the home screen. But I think we also all want to be able to change our gamer tags atleast once. I love PlayStation, but sadly I truly think Xbox is winning the race between the two. PC will always be superior. But still… I think I might have to buy an Xbox. Nothing is really being added to make it a better gaming/entertainment experience. They are more powerful, better with external drives, more features, better apps, better dashboard, less mod restrictions, and tons of others. It could be fixed and ps4 could be wayyy better. I think you guys just have to take real consideration when reading all your customers ideas and actually implement them. Notifications is probably the best thing in this update that is posted. Now I will be able to delete over 4000 of them. When will there be a video output for 1440P displays? But what about now it fully supports 3D ? I don’t need more social media – this is not a phone I use it to play games! If my TV can convert to 3D I want that in this VR HMD. I want the media player to … play media – is that so much to ask? Gah another update of all features no one requested, while ignoring the actual requests of users. I may as well be Xbox where your whole screen is filled with ads. They should pay us to use these things, since the benefit seems to be all on the side of the company, same as the bloody xbone. That has nothing to do with PS4 firmware, it’s a backend PSN issue. The only thing that a firmware update will do for it is how we communicate with PSN to do it from the console. If they get around to ever doing it during this generation. They announced a few months ago that we will within the next year. Why would you want to do that? Seriously? It’s not a PSN NAME, it’s a PSN ID, that’s why you can’t change it. People should put more thought into the IDs they pick. You would assume people would think before making a name but they don’t. They make something stupid like xxXx420Bong1MasturxxXx. They then expect Sony to jump at they snap of their fingers. I have had the same name since dreamcast/ps2/xbox. Sad people can’t make a choice that is good for them in the long run instead of short term. If you “could care less” then why don’t you? Everyone always says “put more thought when picking your name”. I get it, but as many that want to change say “I’m more mature now than when I signed up and I want my PSN name to reflect that”. Stop being so pretentious, please. I would be fine with a one time name change option. Even a $10 change would be fine. At least that would keep (some) trolls at bay. Thank you for these new additions. PS1, PSP and PS Vita backwards compatibility would be a great feature, as would a system feature like Nintendo consoles have that track how much time you spend on each game or how many times you have launched a game over a designated period. Never thought of PSP backwards compatibility, but this would be actually a really good idea. THIS! I want play time statistics too! What I want is to be able to download the psp and Vita compatible games to my PS4 so I can transfer them to the Vita (or psp) from the PS4 like I could with the ps3. Certain games can’t be downloaded directly to the Vita, but can be installed when transferred from a PS3. The Ps3 fat had actual hardware [chipsets] for ps1 and ps2 games , though with the slim that became emulation and not hardware B/C. With the ps4 being the same chipset as the Xbone it s not possible , isn’t that right ? Allow us to change our PSN name. I’d even be open to a small fee if that’s what it takes. +Folwinn Because many people who created their Usernames were young (like myself) and now as adults we want a better name. Look at Gmoneyyyy692 maybe they want to change it because they do not like all those y’s in their name. You never changed your username on another platform because you outgrew or changed your mind? In a next update I would love to put the folders in a fixed position. I’m a Beta tester and i can’t update my System yet. When will the beta be live for me to update? I got a code for beta avatar , but no 5.50 code. Yet. i never got a code for the firmware, it just popped up in my system update menu almost a week ago at this point. so maybe check there. Please, Please, Please give us the option to adjust individual people’s volume in the party. Some people don’t really know how to set their mic volume due to which the others in the party have to suffer their mic clips. It will also help people who stream from their ps4 to set a good audio balance right from within the party. I understand that I could mute those people in the party but sometimes you need to co-ordinate for games, and its a bit rude to tell people who you’ve just met to turn down their mics because their mic is too loud and is clipping. Enable the ability to change the PS Store language, regardless of the region! Hiding apps, thank you. Finally, a basic feature that should’ve been there ages ago is finally here. And deleting notifications, truly innovating guys. I’m happy about it, but also annoyed because you pushed through an inferior UI redesign with less functionality. Now just let me have my tabs back in the notification menu because the options > upload/download is cumbersome and horrid. Whoever thought that was acceptable shouldn’t be designing UIs. I hope we can BULK delete too… because one at a time? I can’t say I’m surprised that it’s so bad, but I mean come on. That sounds lame for kids. You should just force suspend the game until the next playable time. Some games don’t have quick access to saving. Doesn’t affect me, but I feel for kids who lose progress due to this. Speaking of losing progress, why can’t PS Now work by letting you have a 10 minute [or so] grace period where after you disconnect [without manually doing so] you can hop back on, right back into where you left off so you can save/continue without losing everything? I get you don’t want to waste server space, but come on now. Spotify in PS Now is nice though. Now let us take screenshots. 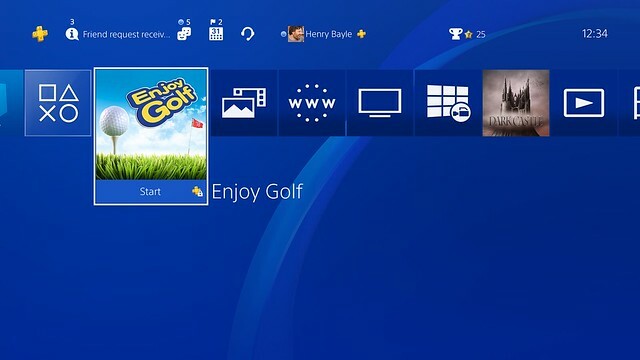 Now, if every user on a PS4 could have their own suspended game, and you wouldn’t have to throw one out in order for someone else to start, that could be a very interesting and valuable improvement! But I’ll take this for time management for now. I like seeing some tools to work with the parents, and not undermine them. When will PlayStation allow us to change our psn names we created years ago. Agreed, why would you want to change that. Your gamertag is like your phone number, why would you want to keep in changing your phone number? Well since nobody can give a good answer as to Why this should be allowed (except: I don’t like my stupid name that I chose when I was drunk/young/high/not thinking/etc… ) , I am curious to read why people have to say about it. Arguably, that is a good answer – not liking the name you chose, perhaps a decade or more ago. Interests change (though Raymond Feist is still an awesome author, so I’m keeping mine). I chose names for my kids to set them up with accounts. As they are allowed to play more online as they grow older, or when they become adults and want to manage their own accounts, they may want a change. I actually like my name, it has meaning, since it’s my initials and it’s an inside joke that I look like Megamind. However, I still want to change it because no one can pronounce it correctly. They think I’m using a lower case L rather than a upper case I. Is that valid enough?? Also, people like to change phone numbers, just like people like to change number (license) plates! It’s not a crazy request! Agree on game time tracking. Nintendo has done that since the Wii on all their hardware [not sure if Switch has it though] and it’s one feature I love that they do. It’s neat to know how much time you spend in each game/app. It should be standard by now. Agreed! Playing PS1 and PS2 classics we bought on PSN should have been there from day one. Agreed, Vspider182. It’s so sad how the firmware team is treating us. That would be my most awaited feature!!!! Let us change our psn names! – PSN name change is being worked on. I am pretty sure you all checked the news at PSX. 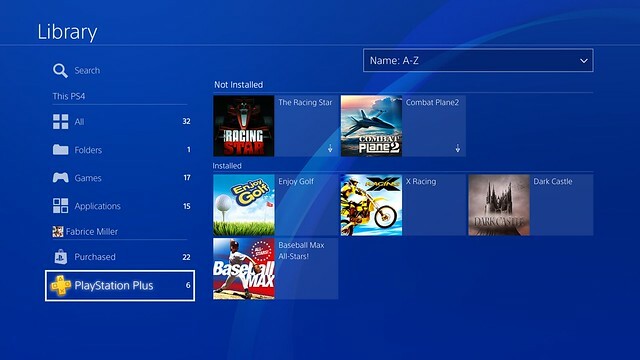 So just old your horses and play with your ‘crappy’ username..
– The PS4 is unable to emulate PS3 games. In order to make a good emulator it takes time and money. If you want to play PS3 games, just hook up your old ps3. Mine still works…. Besides, all the good ps3 games either allready have or will get a remastered/remake version anyway. Sometimes its better to enjoy what you do have than to whine something you do not have. 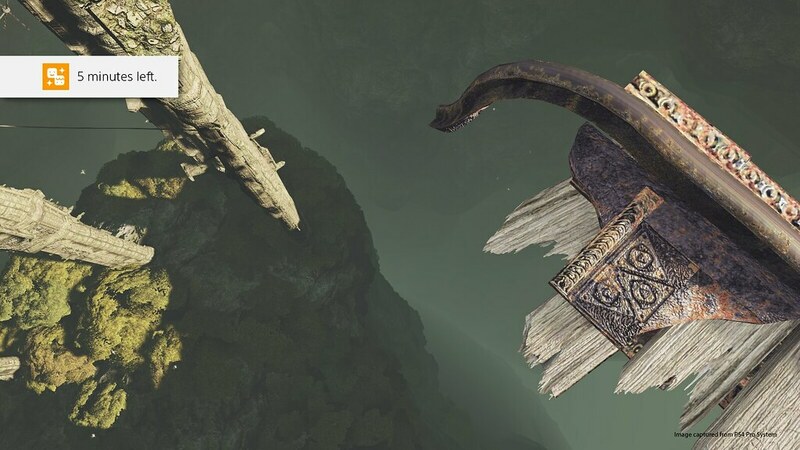 The day God Of War releases is getting closer afterall…. I mean, they said that about the PS2 emulation too, and look what had recently been found out? Do you ever add the playtime for every game like Steam? Still waiting on alphabetizing our games in our trophy collections…. I could not agree more. I have what seems like a thousand games. Alphabetically organizing would be a great addition. With all of the tech in the next gen systems this should not be difficult?! The library change that mentions the PS+ section will be locked if your subscription expires, and that you need to re-up to access those games again. Does that means games you’ve received for free on Plus don’t go away if you let the subscription lapse? It thought that’s how it worked. Did it change? The games don’t go away if your membership lapses. You’re just locked out of them until you renew your subscription. I speak from experience. They’ll remain on your drive, for you to delete (or not) – but you can’t play them. Once you resubscribe, anything you had “purchased” for free on a prior Playstation Plus membership will still be available to play (including downloading again). So if I download Knack today because it’s free this month, and my membership lapses in March, and in July I add Playstation Plus again, then I’d be able to download and play Knack in July – but not in April-June, while I was still expired. And the stuff that came out free while I was expired I wouldn’t be able to play, either, because I didn’t go to the store to unlock it while it was free. All I want it to see total playtime of every game. Why is that so hard? Me too! I got all excited at first when I saw “playtime management” and then was crushed when I realized it was only for setting playtimes and not actually viewing your in-game play times, haha! I don’t know why we can’t get this feature it’s been long requested and seems like it would be pretty easy to implement. Is there a way to record the last 30 seconds of gameplay instead of the next 30 seconds? You can. Go straight to the share menu (do not start a recording) and select upload video clip. It will save the last seconds/minutes depending on how you configured it. Open up your share menu, then just press square to save the video clip. Selecting upload video clip will send you to a unnecessary screen. Accounts still don’t have passwords/pins? Or did I miss an update? Being able to auto sort PSVR games would be great. Got an extra code I could have? Great update, but a thing I’ve been wanting since PS+ free games were announced. -Extending home console sharing from 1-2. Families with PS4s more than likely have more than one. Also remote play only works with the home console vs the other that has your PSN ID or just letting you choose which console to use. Very inconvenient set up, especially if you purchase games digitally….I guess it’s fine for physical media buyers. A lot of good ones here , thanks! A media player that plays media , and a browser that could be used for VR videos would be good. a fixed screen position for Cinematic mode. When I first saw “Playtime” in this blog I thought it meant the our Ps4’s would be able to track our application playtime across all games. I was actually getting hyped for no reason at all. Its weird seeing as that they sent e-mails to users about the top 3 games they put the most playtime hours into last year. So they are keeping track of some sort of data and yet this isn’t a feature we have to check on ourselves unless the actual game tells us but most of the time it does but 20% of the time doesn’t. So did I! Haha! I agree. I loved that e-mail and was hoping it was going to make it’s way into this update. I really hope the add it in, I would like to see how many more hours I have poured into certain games. I have been waiting for name change forever I think it’s number one thing most people want. Also I agree with party chat making more then 8 people in there and also individual volume control I for each person in party chat. name change isn’t number one actually. @jisatsu_kiddo stop playing devil’s advocate claiming there’s no need to employ a name change feature when the majority do want it. I don’t know how ignorant someone could be. You must be a wet a piece of bread around your friends. Again it’s not the majority but a vocal MINORITY. I get it, you’re upset because you choose a really stupid name and you have regret. Next time maybe let logic dictate what you will do instead of acting like a spoiled millennial. Your “autistic” screaming and gimme-gimme attitude. @ Jisatsu_Kiddo – Well said. My thought at the time was ” I have no intention of using any of their BS online services, and plan to just play games locally by myself – when it FORCED me to come up with a name I did not think about it at all – I just wanted to play the new system and did not care to jump trhough any hoops for them. Now I might no mind changing it , as it is my damn name. How about they just get rid of that requirement ? Open to everyone, but don’t be a jerk. I got the “You are a beat tester” email yesterday. When does the beta testing go live? Ready for the beta can finally clean out my notifications. I hope to god Persona 5 benefits from supersample mode!! So we have a share button and all of these platforms to share our videos with. Why not add a feature to our own platform and allow us to send video messages via PS4 messages. It doesn’t have to be anything super crazy, just max video size limit to 1 minute. -Just a thought. I’d like to see SSD TRIM support in a future release. Game load times are well past the point where an SSD is an important upgrade for a PS4. TRIM support would help preserve hardware life for SSDs, especially when constantly writing to the disk. As mentioned above, play time statistics for individual games is a very nice feature of competing consoles, and it would be great to have it on the PS4. With Play Time Management, can we at least track our own sessions, or only of the “children” accounts? *Total Playtime Stats for games we played, like Steam and everyone else does. *Ability to see progress of each trophy with a meter and % number. *Pin an application or 3 to the media bar, similar to how you can sort the order on your Sony Android TVs. 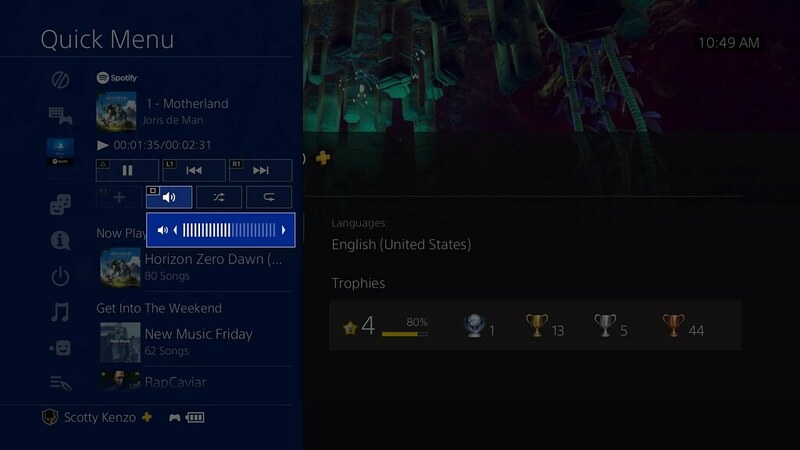 I would like the media player controls on PS4 to be like PS3. Watching media or dvds/blurays are a hassle witht he way the controls are mapped out on the PS4 controller. Just make it like the PS3, infact put the medai player the PS3 has on the PS4 because the PS4’s is f’ing horrible! Hopefully Playtime Management lets us keep track of how long we’ve been playing each individual game. That’s what I really want to see. If this update doesn’t provide that, please add it to a future update. Party invite, message notifications, and game invite. My friends permentaly disabled those and it’s really annoying that my friends don’t see it. …. and they still did NOT add the support for Atmos games or update the Netflix app to support Atmos!!! Come on, Sony, lets see some support for IPv6. If you are adding a time management feature for parental control you should add “time played” for our profiles too. I’m still waiting for a way to manage my PS Vita games on my PS4. I have too many Vita games and not enough memory cards. Downloading and transferring games between the Vita and PS4 would be a welcomed addition. You can use the Vita as a second screen but that’s the only connectivity between the two systems right now. The PS4 has been out long enough it should have been added by now. 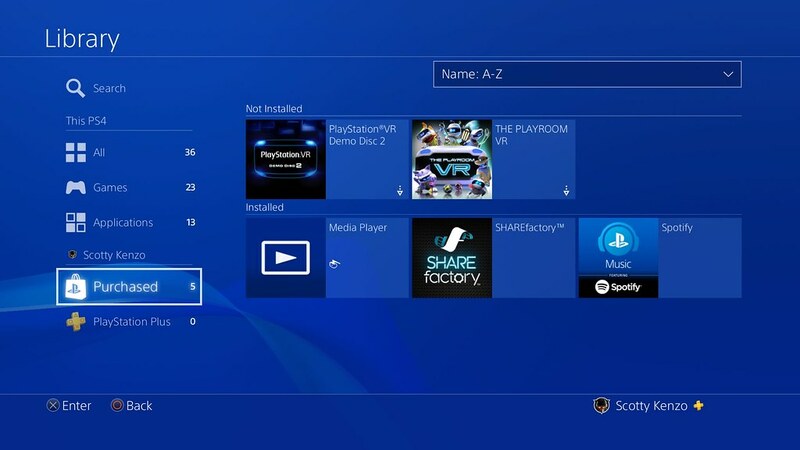 The PS4 doesn’t know what a Vita is…! Going good but I would like to suggest to make an option to check downloads for a whole folder instead of going game by game to check for an update. I have always assumed it does on start up, but I want to delete all of these that are old.